Experience the very best of traditional match-3 gameplay with solid visuals and great variety. Combine more than three treats in a single turn to spawn special treats that have varying special effects. Utilize cool power-ups along the way to give yourself a much needed edge during difficult levels. Book of Life: Sugar Smash, Book of Life for short, is a match-3 game that does little in the way of innovation but instead emphasizes completely on improving and refining the traditional gameplay concepts even further and it does a great job at it since Book of Life is a top notch game with a great variety of levels, smooth gameplay and solid power-ups. Starting off for the first time in Book of Life, your initial few levels in the game will mostly be tutorial levels built to teach you all that there is to know about the game. Throughout these levels you will learn things like how to match treats, how to spawn special treats, using power-ups and how to combo different special treats together for some even bigger explosions. Overall, the tutorial is pretty in-depth and very well executed as it manages to teach every necessary aspect of the game without consuming too much time. The gameplay in Book of Life, as mentioned before, has very little new elements added to it as compared to the standard match-3 gameplay but what sets this game apart from the crowd is the fact that the general gameplay mechanics have been improved to an excessive degree and the game has also been refined quite a bit to play and feel a lot smoother. 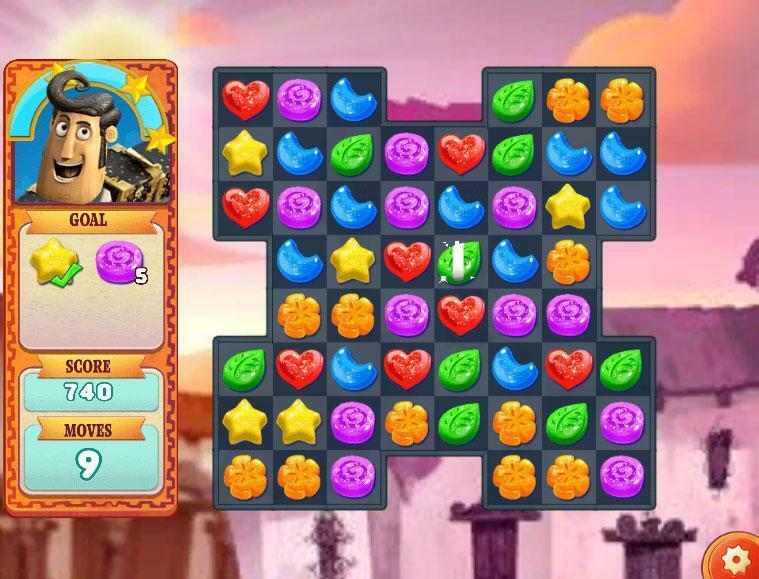 The game gives players varying objectives like popping a specific amount a specific treat or reaching a given score within the time or move limit. The levels in Book of Life get increasingly challenging as the game goes on and it’s definitely worth pointing out that there is an immense amount of levels in the game so you’ll be busy for quite a long duration of time. The game also has the standard power-ups that you’ll find in most match-3 games combined with a few new ones of its own. 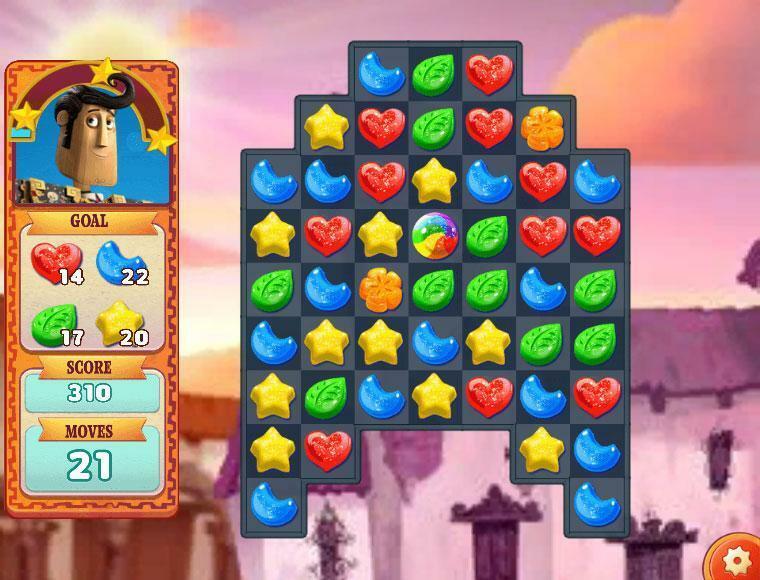 You’ll encounter all the regular power-ups like acquiring a rainbow treat at the very start of the level and destroying a specific treat with one click but you’ll also find some cool new things such as the ability to swap two treats without having any consequences. From a graphical standpoint, Book of Life looks brilliant for what’s a browser based match-3 game. The animations of the game are incredibly smooth, everything looks incredibly detailed and there are a ton of different environments that you will be able to enjoy during your play-through of the game. As for micro-transactions, except the regular ones that you find in pretty much every other match-3 game such as the ability to purchase the premium currency of the game and in turn using that currency to buy power-ups. You can also utilize certain micro-transactions to get extra lives if you ever run out. 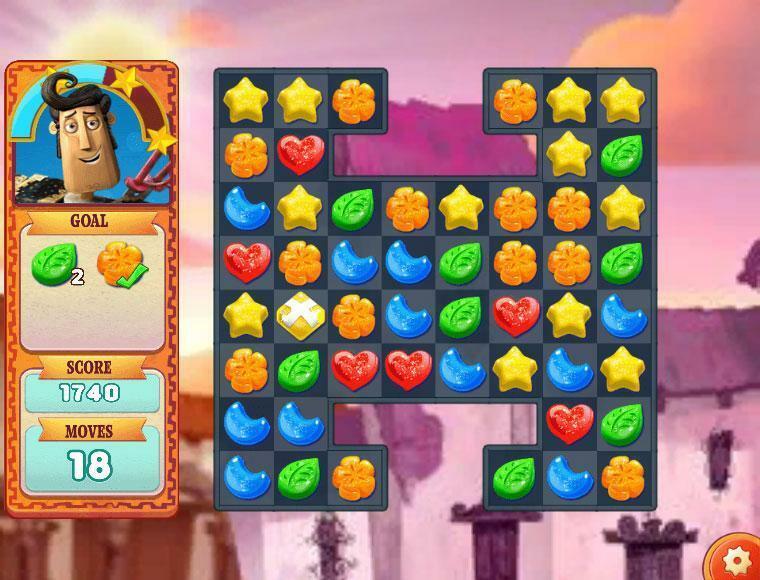 Book of Life: Sugar Smash is a fantastic game that does a great job of improving the shortfalls of traditional match-3 games.